Play with the mood of your next promotion with this fantastic item! The 16 oz. Victory Acrylic Tumbler with Mood Straw is an acrylic double-wall insulated tumbler with a lid and an unimprinted heavy duty mood straw. 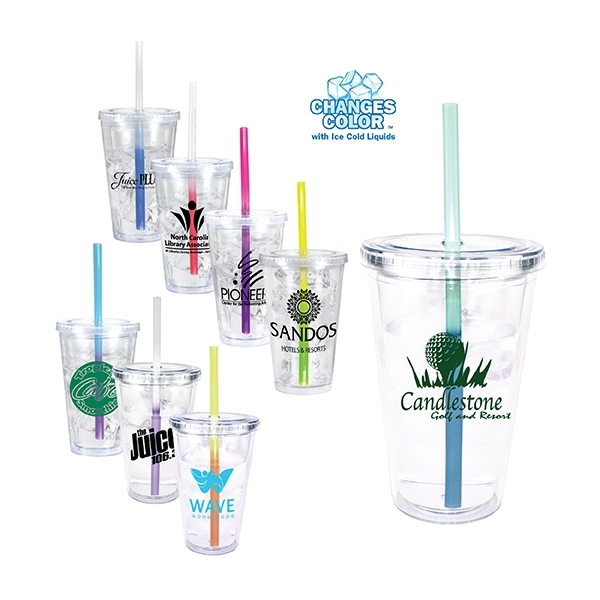 This durable product makes a great giveaway for outdoor company events, picnics or parties. People will think of you during every mood. This item is not intended for hot beverages, do not microwave. Hand wash only. Multi Color on one side only. Registration will vary 1/8'' in any direction, making close registration impossible.